This is a sturdy, operator-friendly, self propelled sod cutter is adjustable to just over 2" cutting depth. Features maximum traction and self-propelled action- 95% of the machine's weight is on the knob tread drive wheels. 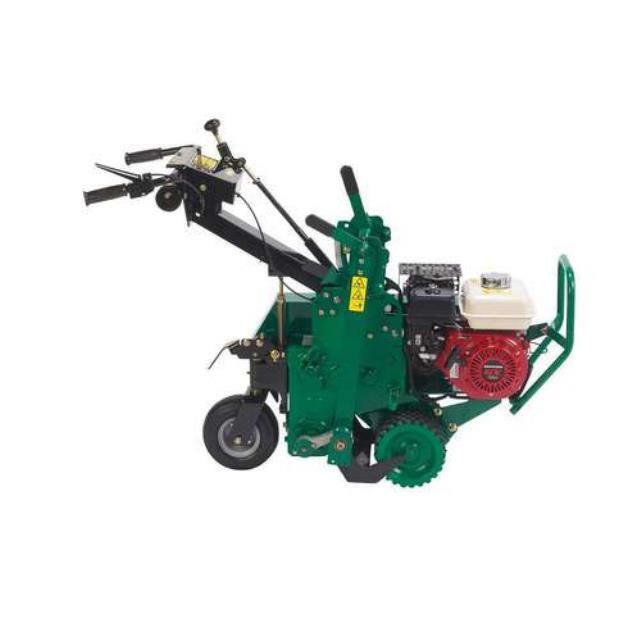 Although heavy, the sod cutter has good balance, easy handling, and responsive turning. Click here for the Ryan Jr. parts and operation manual.